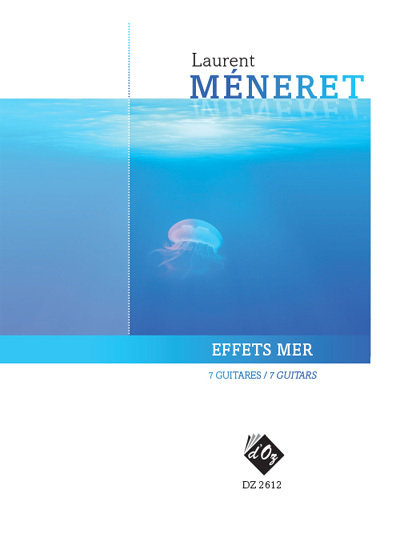 As a maritime allegory, the Effets mer book describes some aspects of the condition of the sea. Peace, lightness, plenitude oscillate with tension, tumult and crash. The alternation of fingers, the chord tamboras, pizzicati and glissandi effects will contribute to this aquatic sensation. This septet of guitars will require the development of a water lapping effect. Furthermore, a guitar will have to be prepared by means of a paperclip which is fixed to the 3rd string in front of the rosette.